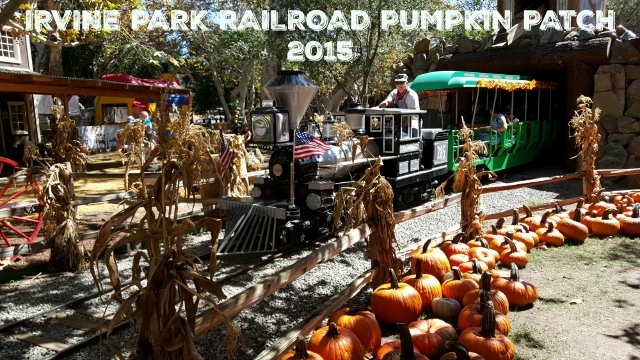 Irvine Park Railroad has been our seasonal tradition since my daughter was an infant. The first time we went was her first Halloween. It seems SO long ago even though it was only 6 years. Every Halloween, my kids dress up to to hunt for their pumpkins. 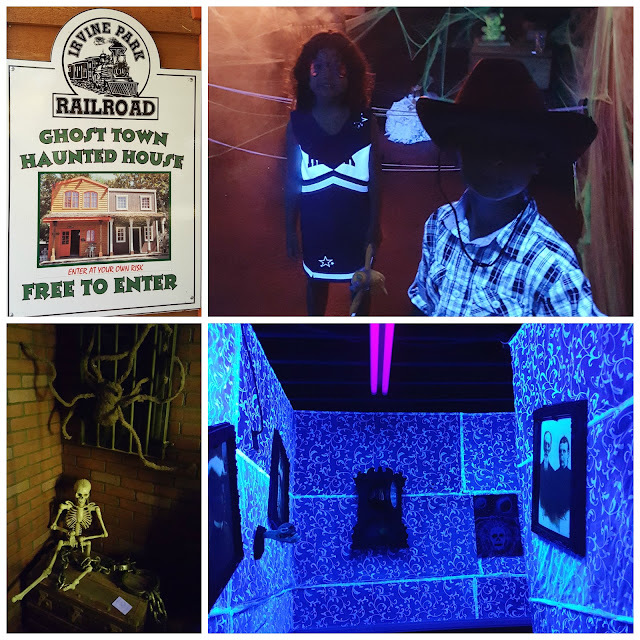 If you are new to Irvine Park Railroad, let me be the first to introduce you to it. If you are veteran park goers, welcome back! 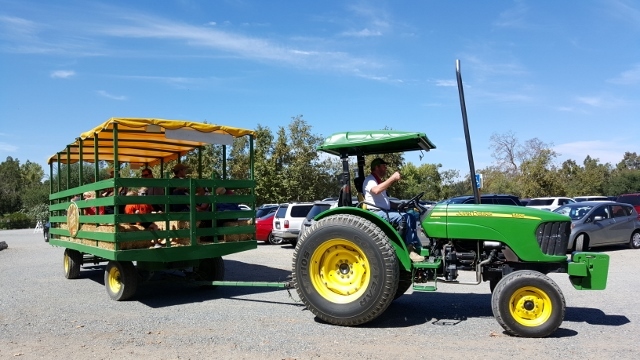 The first thing you might see when you enter the railroad area is the Tractor Ride. This fun ride gives you a tour around the park so that you might get into the Fall spirit. If you have children like mine, you will have them begging to ride on the train and ponies. For the little ones, there are parent led ponies on a small track on one side and trotting ponies on the other that are led by workers. 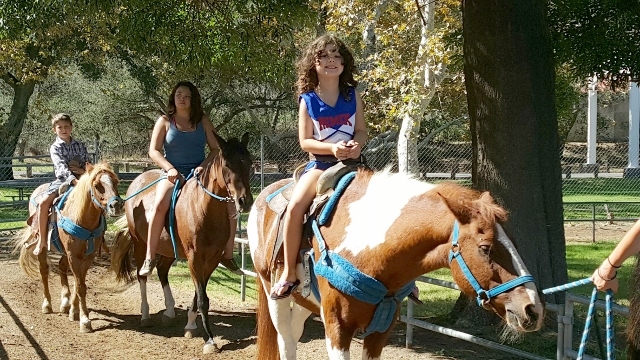 For my little cowkids, the ponies are a must. There are plenty of photo-ops throughout the park that are free but you must stop at the Yellow Shack or the Concession stand to by activity tickets. 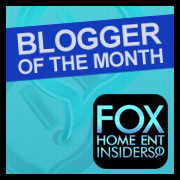 Be sure to print out coupons and activity sheets here. In fact, there is a coloring page that when turned in, the kids receive a special prize. 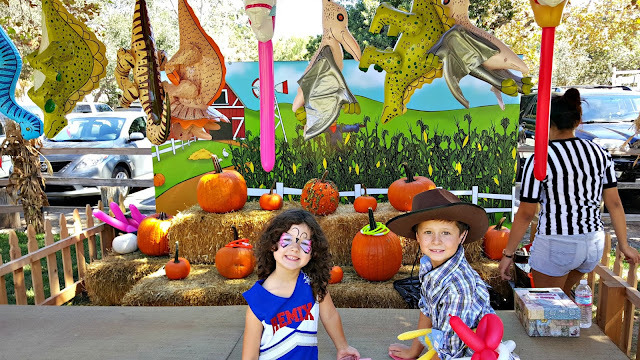 Carnival games are always a favorite because whether you win or lose, everyone comes out with a large prize! I am not talking stickers but stuffed animals and blow-up toys. Have a need to burn a little energy? 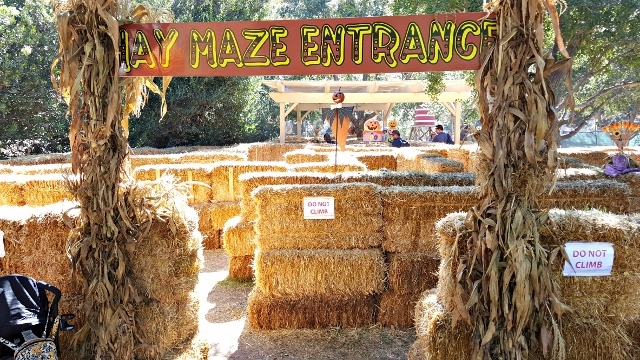 Send the kids through the Hay Maze. Face Painting and Baloon Animals were next. My son has outgrown the face-painting but loves the balloon swords complete with scabbard. As you enter the back of the park, the Haunted House stands out. While it isn't super scary, the dark intimidates the really young ones. Mine went in it 4 times! This is a fun and free activity. Do you have little gold diggers in your family? 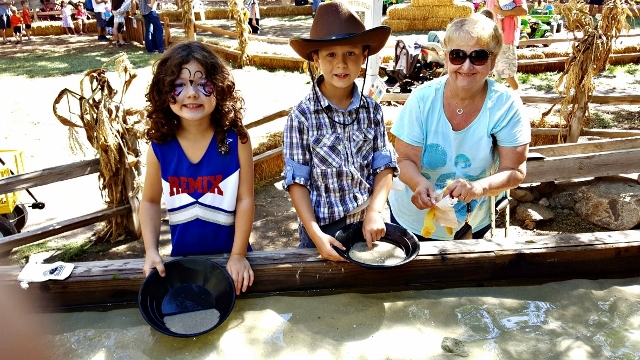 Have them try their hand at the Gold Panning area! They get to keep all of the "gold" that they find. We save the best for last because in all fairness, it is the messiest. Cookie Decorating! 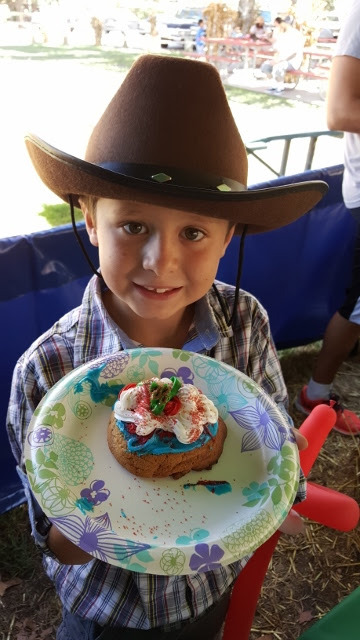 For one ticket, you receive an extra large sugar cookie and are given an array of frosting and sprinkles to decorate the cookie with. Usually we take most of it home. 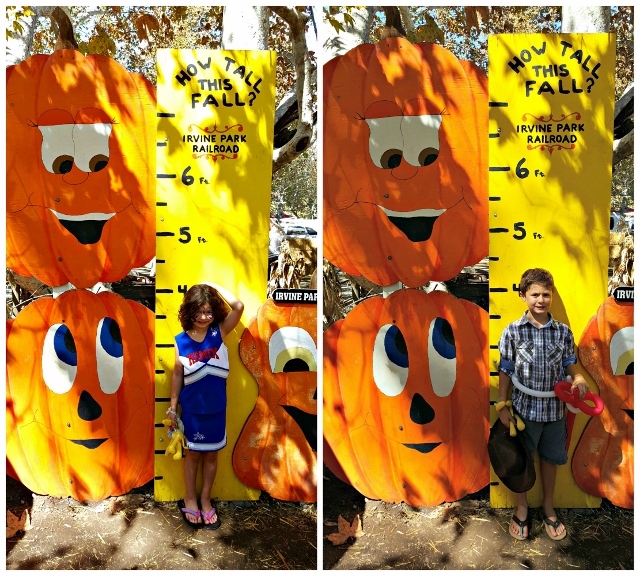 Another year has passed and we have enjoyed Irvine Park Railroad. Thank you for inviting us back year after year! I love looking at the pictures as my kids grow up on your farm.